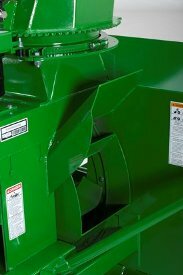 On all SB13R models, the hydraulic drum rotation is standard and is great for operators who want to move large amounts of snow at a faster rate of speed while consuming less horsepower when discharging snow out the drum door. 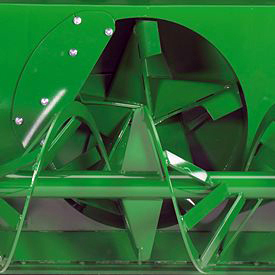 The drum door is hydraulically opened and closed, allowing operators to discharge snow to the side when it is open or discharge snow through the chute when the door is closed. All of this can be done without ever leaving the seat of the tractor. The adjustable steel skid shoes on the SB13 Series increase the durability and life of the snowblowers. SB11 Series Snowblowers have different hitch capabilities. Models SB1148, SB1154, SB1164, and SB1174 are Category 1 and iMatch compatible. Model SB1184 is Category 1 and iMatch compatible and Category 2 and Quik-Coupler compatible. Model SB1194 is Category 2 and Quik-Coupler compatible. All SB13 Series models come with a Category 2 3-point hitch. In addition, SB1308, SB1308R, and SB1309R are Category 2 and 3 compatible. The SB13 Series models are all Quik-Coupler compatible. Moving snow faster and blowing it farther is simple with four or five impeller blades. 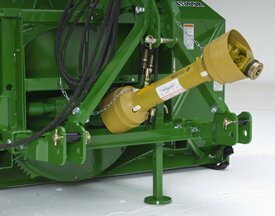 Optional dual augers are available on certain models for a larger amount of snow removal. 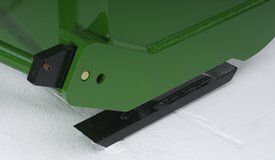 The SB13 Series Snowblowers come with a manual chute deflector adjustment. This is beneficial when operating around buildings or on city streets. 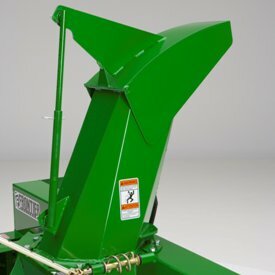 The optional hydraulically controlled chute deflector is available and controlled from the seat of the tractor, making adjustments even quicker and easier. 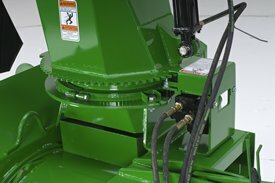 All SB13 Series Snowblowers are equipped with hydraulic chute rotation. Chute rotation adds versatility by allowing the operator to blow snow exactly where they want it to go.